The demand for more environmentally-friendly building materials and techniques is at an all-time high and will, in all likelihood, only continue to increase. Since buildings account for 38% of the total carbon dioxide emissions in the U.S., it’s obviously time for us to take a step back and rethink the way our buildings affect the environment. 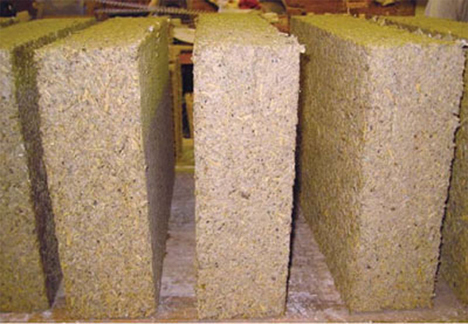 Among the new, greener building materials and techniques is a material that’s not so much new as it is rethought: hemp. We have, of course, known about and used hemp for thousands of years. It’s one of the oldest known cultivated crops, and it can be used for everything from textiles to paper to food and beyond. It’s also extremely renewable, with crops maturing after just 14 weeks. And now, you can make buildings out of it. 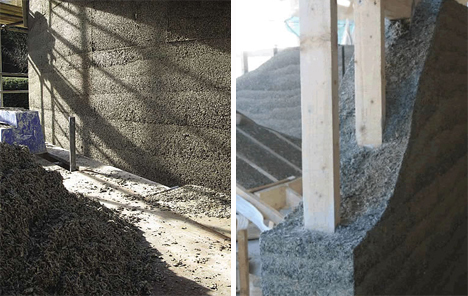 Tradical Hemcrete is a fascinating material designed by UK company Lhoist, made of hemp held together with a lime-based binder. 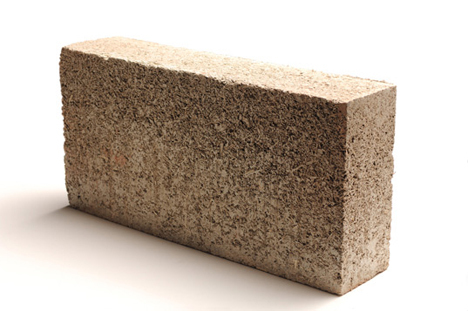 It’s durable, strong, just as easy to use as conventional building materials, and actually good for the environment. 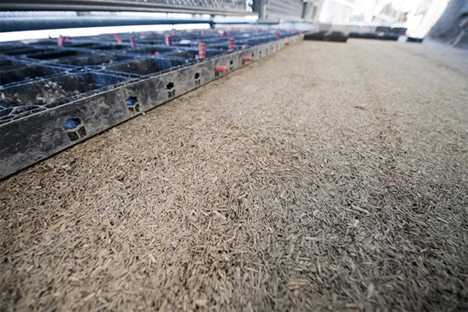 Not only is Hemcrete carbon neutral; it’s actually carbon negative. CO2 from the atmosphere is trapped in the hemp plants as they grow, and remains there after the plants are harvested. During their grow cycle, the plants also release oxygen into the atmosphere. Even when combined with the lime binder, the overall product takes more CO2 out of the atmosphere than it puts into it. As if that weren’t enough to make the construction industry take notice, Hemcrete is also recyclable. When a Hemcrete building is torn down, the remnants can amazingly be used as fertilizer. And this isn’t one of those great ideas that’s completely impractical to use, either – the material is fireproof, waterproof, a great insulator, and resistant to rotting (as long as it’s above ground), making it a viable choice for any number of construction applications. Unfortunately, because the species of hemp used in Hemcrete is illegal to grow in the U.S., it’s not yet widely used here. 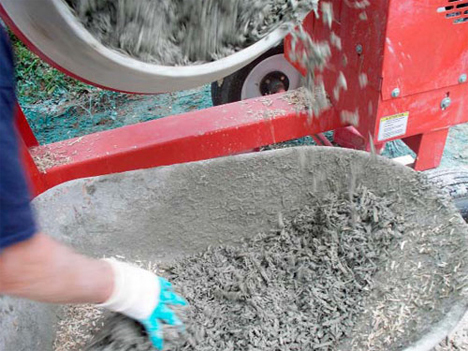 The construction industry is feeling increasing pressure to green up their practices, though, and Hemcrete is finally available in the U.S., though not without a significant cost. Hopefully this will change as the government seeks to open up new avenues to climate change. See more in New Materials or under Science. November, 2009.